The original colour of a Vincent Van Gogh artwork has been revealed ahead of a new exhibition of his paintings. The Oise At Auvers was drawn during the final few months of the Dutch artist’s life. Experts have now revealed that the midday scene that it appears to portray was not how Van Gogh painted the scene in 1890. He had in fact painted the sky a vivid and “glorious” pink in the work, which depicts a scene near Paris. Conservators discovered evidence of the original colour when they removed the work from its mount and frame in preparation for the Tate Britain show, which explores how Britain inspired the world-famous painter. Van Gogh remained poor and virtually penniless throughout his life and would have used cheaper materials. He applied paint colours thickly in the hope that they would last longer and the pink pigments he used may have faded during his lifetime. Experts have now digitally reconstructed the work – now thought to be the last of his painted landscapes set around sunset – to show what it would have looked like. Van Gogh lived in London as a young man, between 1873 and 1876. He was “daunted to be in the biggest and most modern city in the world, completely on his own”, curators said. He worked as a trainee art dealer while living in Brixton and was relatively affluent but became “radical” and “disillusioned with his job”. During his time living in London, Van Gogh “enjoyed a bit of gardening”, had a Dickens-style Christmas, and liked to sketch the River Thames at dusk – but also fell in love and came face-to-face with poverty. He had not started painting but “roamed the streets of London” and was inspired by British writers Shakespeare, Christina Rossetti and Charles Dickens. Tate Britain director Alex Farquharson told the Press Association: “I think the idea was sown then, while in London but he didn’t become an artist for a few years later. “You can see influences (from London) right through to the end of his work”. Curators said that the “Van Gogh we know was being born in London” – the artist, who famously cut off his own ear, became “much more melancholy and serious”. Highlights of the exhibition include L’Arlesienne (1890), Starry Night Over The Rhone (1888), Shoes (1886), from the Van Gogh Museum in Amsterdam, and Sunflowers (1888). In the final months before he died, after shooting himself, Van Gogh painted Prisoners Exercising (1890), his only surviving image of London, from a print of Newgate prison. 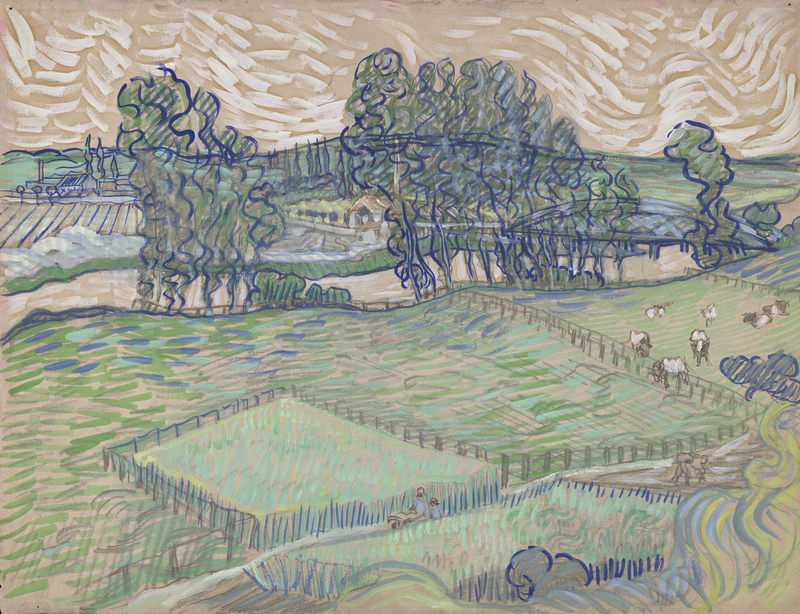 The Ey Exhibition: Van Gogh And Britain will run at Tate Britain from March 27 to August 11.